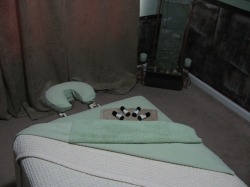 Our signature massage incorporates Swedish/Deep Tissue, Shiatsu, and NeuroMuscular Therapy massage techniques to decrease anxiety, promote relaxation, and encourage circulation which assists in lymph drainage and waste removal. By increasing awareness of the mind and body connection, the ultimate goal of the session is to provide emotional and spiritual balance. 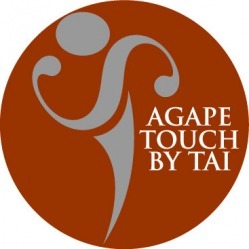 Agape Touch brings its signature massage to the comfort of your home. Relax and enjoy a full body treatment which combines Swedish/Deep Tissue, Shiatsu, and Neuromuscular Therapy massage techniques in an effort to bring balance to your mind, body, and spirit. The therapeutic use of massage by a certified massage therapist can stimulate all the systems of the body - in particular, the muscular, circulatory, lymphatic (immune) and nervous systems. Our Sports Massage sessions were designed with the athlete in mind. 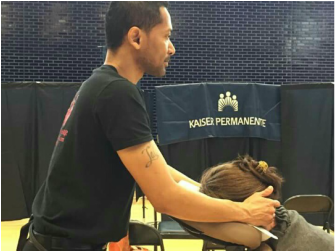 In a pre-event scenario, the therapist uses stimulating massage techniques to invigorate the muscles and increase circulation of blood and nutrients into the tissues. Sports Massage assists in boosting performance and minimizes the risk of injury. In post event scenarios, the therapist uses slower massage techniques to cool down the muscles and alleviate any event related tension, knots, or spasms. Thai Massage originated in Thailand and is traditionally performed on a Thai Mat. However, the techniques can easily be infused into a table massage session. The client remains fully clothed but should wear non-restrictive clothing since stretching is involved. Thai massage is often compared to Yoga and incorporates many different elements, ranging from compression strokes and rhythmic rocking and percussion to range of motion and flexibility movements. Reflexology is an ancient Egyptian treatment based on the idea that every part within the human body is interconnected to every other part. Therefore, by manipulating pressure points on the feet, hands, and ears, the therapist can stimulate every system within the body and facilitate the ideal environment for optimal performance and natural healing. 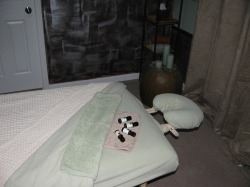 The Hot Stone massage treatment was originally used by Native Indians to ease away aches and pains. Our hot stone massage session involves using smooth semi-flattened river stones to massage and knead the muscles with long fluid massage strokes in conjunction with the soothing element of heat. Our signature body polish treatment begins with a light but invigorating exfoliation to help remove dead skin cells followed by an application of lotion and essential oils. The session is closed with a facial acupressure treatment. Our body polish treatment leaves the skin feeling silky and smooth.